In September 2009 the first gallery for botanical art in Germany was opened by Sylvia Peter (botanical artist) and Michael Junginger (expert in forestry). 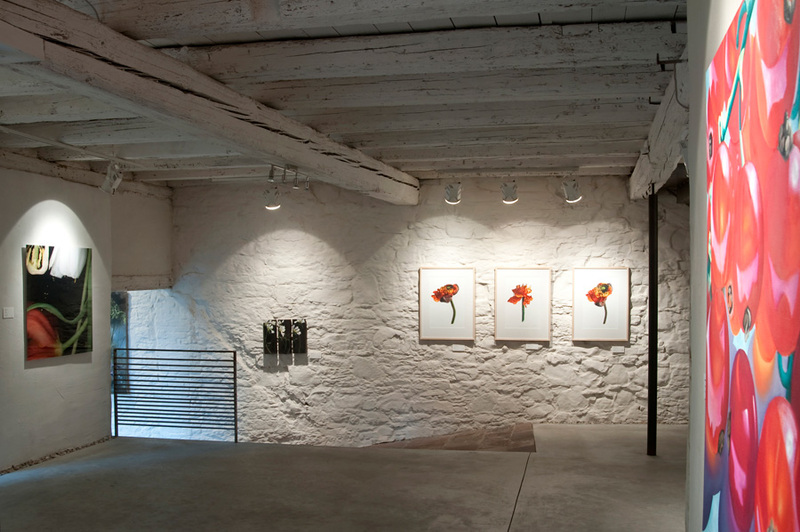 The gallery represents a variety of international botanical artists working in different media. Watercolours, oil- and acrylic paintings, photographs and plant objects are presented. Artists from Germany, Great Britain, France and sometimes other countries show their works in themed exhibitions. The gallery is located in the charming little village Thüngersheim near Würzburg in northern Bavaria. The building is a typical winegrower's house dating from the early 17th century. The listed building was carefully restored by architect Felix Tannenberg in 2008/9. It is called “Der Alte Stern” (The Old Star), having been the tavern “The Star” in the 1920s. Typical for the rural wine region it is built as a half-timbered house with a red stone floor in the barn. With its high ceilings the exhibition space on the ground floor offers possibilities to display large works. The second floor currently presents works from our stock. Visitors can see a wide range of different artists' works and various techniques of botanical art. For refreshments a small café is situated in the former tavern room. Homemade cakes and snacks are mainly offered of organic quality. Organic beer and soft drinks are served as well as a selection of typical wines by local producers.